The happy couple and the water sprinkler during their Prague Castle wedding photo shoot. 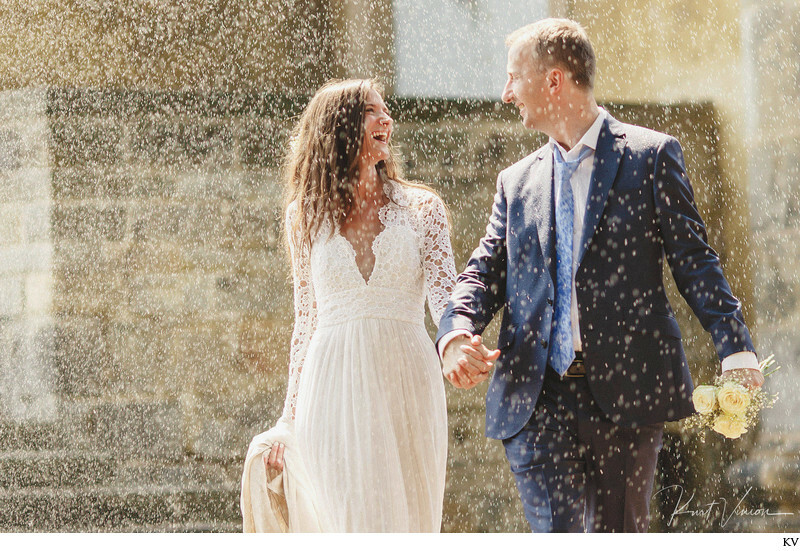 One of those beautiful moments where on a hot summer day a sprinkler at Prague Castle provided some much needed cooling off for our newly married couple who took a walking tour of Prague Castle after their intimate Prague Wedding. Simple, real moments shared between two people are always my favorite kinds of wedding photos. Keywords: authentic weddings (18), happiness (51), love (60), Prague weddings (1383), rain (18), reportage (9).